Place for products questions and answers. How to do hardwire/direct wire a modular LED under cabinet lighting system? How long is included interconnect cables? Length of each interconnect cable is 3 ft (91.44 cm). What is the maximum length of interconnect cable can be used? Usually, we do not recommend to use over 12 ft interconnect cable. But if 25 ft (approximately) interconnect cable is used for only couple locations within one setting, there shouldn't be any issue. When interconnect cables with 25 ft length are used to connect all LED light panel, there is possibility that the light would not work. What is the size of connector? Size of connector is 3.5 mm (Outer Diameter) x 1.35 mm (Inner Diameter). How do I split the interconnect cable into more than one direction? You may use "6 inch Interconnect Splitter Cable", "4 Way Splitter", or "8 Way Splitter" to install modular under cabinet lighting in more than one direction. What if I need longer or shorter interconnect cable? We have 4 inch, 6ft, and 12ft interconnect cables available. Please search “interconnect cable” if you are unable to locate it from the category page. An alternative option is to splice the cable to make cable shorter, or use cable with 2 wires (such as speaker wires) to make it longer. How many dimming level does the dimmer switch have? There are many brightness level you can control with dimmer switch. It would be very similar to wall slide dimmer switch. Can I use it without dimmer switch (or on/off switch)? Yes, you may connect the lighting directly to the power supply without dimmer switch (or on/off switch). Is dimmer switch (item# K6032) compatible with wall on/off switch? If you plan to control the power with wall on/off switch, you would need rotary dimmer switch (S4170) instead of included dimmer switch (K6032). The dimmer switch (K6032) would reset every time when power is completely off from on/off switch. Can I use 120 volt wall dimmer switch instead? If you plan to use 120 volt wall dimmer switch, you would need to use dimmable transformer instead of standard power supply that plugs into wall outlet. What is the maximum number of LED light panel you can install with one power supply? 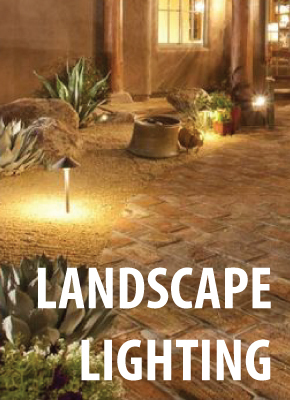 Depends on the power supply and length of LED light panel, the maximum number would vary. 6 inch LED light panel consumes 1.8 watt max. & 12 inch LED light panel consumes 3 watt max. For example, the power supply needs to be at least 15 watt or larger if you plan to install (5) 12 inch LED light panel with one power supply. Is it possible to mix 6 inch & 12 inch LED light panel together with one power supply? Yes, you may mix 6 inch & 12 inch LED light panel together. Please make sure you have enough wattage. How many LED light panels are needed for my cabinet? It differs from person to person. Some people would be satisfied with one 12 inch LED light panel for 36 inch cabinet and some people would be satisfied with two 12 inch LED light panels for 36 inch cabinet. Usually, we recommend one 12 inch LED light panel for cabinet sized about 24 inch (60.96 cm). Would a heavy duty adhesive (example: 3M Heavy Duty Mounting Tape) work in lieu of mounting bracket with screws? Yes, it would work fine since the unit is not heavy at all. But if temperature of surrounding environment is very high, adhesive may lose its adhesion. Do I need warm white or cool white? It differs from person to person. 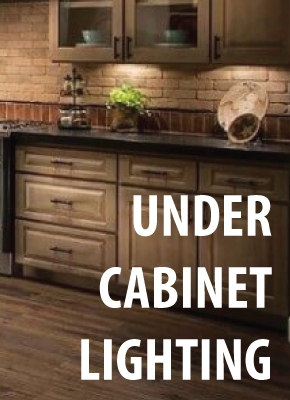 The popular color temperature would be a warm white for most of the cases and most people are satisfied with warm white for their under cabinet lighting. However, cool white would look so much better than warm white within certain environment or purpose. How to determine wattage of power supply that I received? Please locate the product label on the power supply and locate model number. The two numbers listed after the word "GFP" would represent the wattage of the power supply. For example, following can be found on model number of 12 watt power supply. Why there is a noticeable delay when I turn on the lighting with wall on/off switch? The several seconds delay (may differ by the wattage of the power supply) can be found with many AC/DC power adapters when you completely turn off the power from the power source (which placed before the power supply) and turn on the power after a while. Speaking in more detail, the delay is caused by inner resistor, capacitor, and IC of the driver. Per testing, if there is an adjustment to reduce the delay for power supply, working efficiency of power supply will reduce dramatically and unable meet five-star energy saving standard.